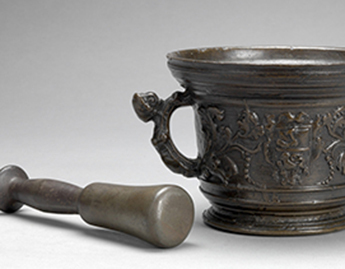 In 2002, the Museum received a group of more than 100 objects from the Joseph J. Hammer Collection through a gift of his son, Roy A. Hammer. 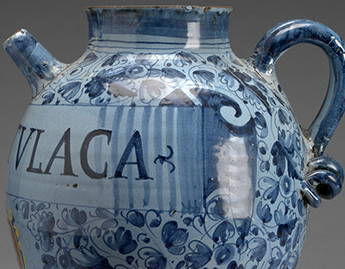 In his life, Hammer built an extraordinary collection of tin-glazed earthenware apothecary vessels (variously known as majolica, delft, and faience) and other objects associated with the pharmacist's trade. 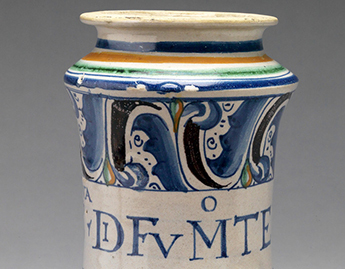 Although primarily Italian objects, France, England, The Netherlands, and other countries are also represented in the collection, which spans the 16th to the 18th century. 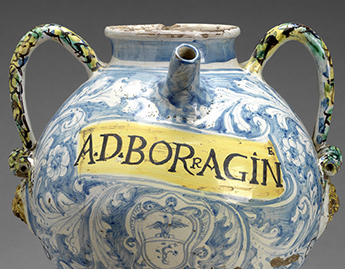 Made as functional vessels to house medicinal substances and often labeled with prescribed remedies, many of these wares were decorated by important artists of the time. With beautifully painted imagery drawn from mythology, classical sources, science, folklore, religion, and politics, these designs offer a treasure trove of visual culture.